Breaking Bad's highly anticipated fifth season is set to premiere in less than two weeks (Sunday, July 15) and the troops here at TV Geek Army are psyched up and ready for action. Vince Gilligan, Breaking Bad's showrunner and main creative force, has remained characteristically mum regarding the particulars of the new season. 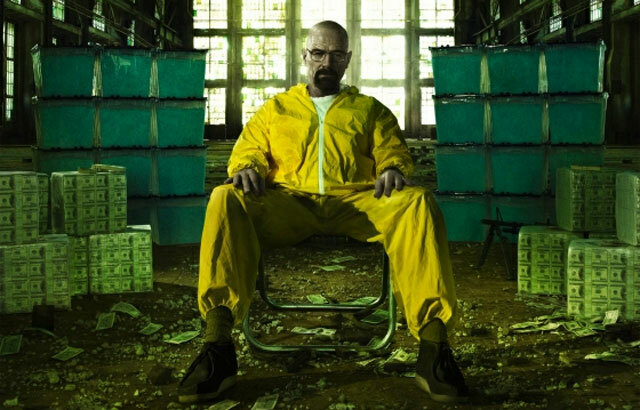 However a few tidbits of information have trickled out of the Breaking Bad camp, mostly from the show's stars Bryan Cranston and Aaron Paul. E! Online has reported that the show will welcome a new character this season. This newcomer, Paul, is described as a "working class guy...who's Jesse's age." Paul is "no no genius but he's smarter than Mr Pinkman." TVLine has also run a piece of casting news that is eerily similar to E! 's report. TVLine said that Breaking Bad has cast my favorite 73-yard field goal kicking Christian rocker, Jesse Plemons. "He’ll play Todd, a dependable, innocuous, working-class guy," TVLine said. It's possible that Todd and Paul are one and the same. Although, I suppose the show could have added two "working class guys" that are around the same as Jesse Pinkman. Aaron Paul has speculated that the upcoming season, which is Breaking Bad's last, "does involve a death, and possible deaths." In an interview with TVLine, Cranston stressed the fact that he has no idea what will happen at the end of the show and said he doesn't read the episode scripts too far in advance. However he did say that Walt will be "going out big." In other interviews, Cranston has been a bit more specific in his predictions for Walter White's fate. "I don’t know where it’s going, but I’m pretty damn sure that he’ll die at the end of this show. At the end of this show, Walter White will die. How he will he die? I really, honestly don’t know," he told Jeanne Wolf in 2010. In a recent podcast with fellow TVGeekArmy contributor Chris Morgan, I made some predictions of my own about the final season. Chris and I agreed that the only logical way for Breaking Bad to conclude would be for Jesse to kill Walt. We also speculated about the likelihood of Walt murdering Hank, possibly in the finale of the first half of the fifth season. (AMC is airing eight of the 16 final episodes this summer and eight next summer). For the record, Chris' brother Jeff predicts "Jesse's going to kill Walt, Walter Jr. is going to kill Jesse, Marie's going to kill Walt Jr. in a murder suicide, Hank is going to kill himself out of despair." He continues, "It turns out that Holly is some sort of bodysnatcher...and becomes the new meth queen." I think Jeff might be on to something. What do you guys think? Hit the comments section and post your predictions for Season Five. Check back in on TVGeekArmy early and often when the season starts for wall-to-wall Breaking Bad coverage. Just catching up on this -- lots of good stuff in here that I did not know about for the new season. 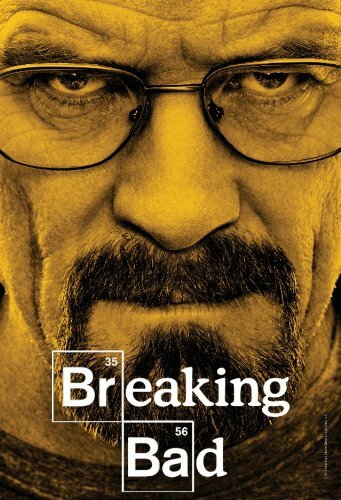 I just published an opus speculating on how Breaking Bad will play out, and feel that Jesse taking out Walt while certainly possible may be just a little too obvious for Gilligan to pull the proverbial trigger on. Can't wait for the new season!